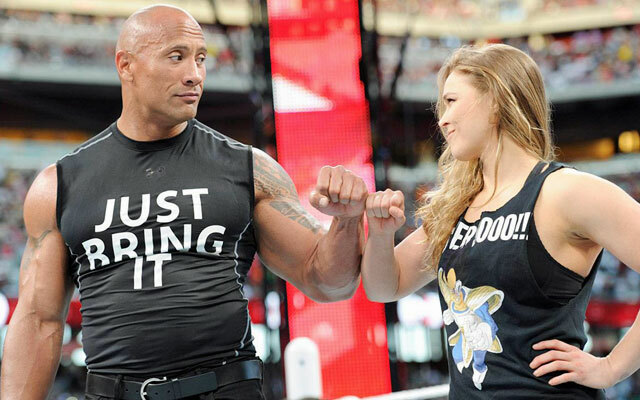 WWE Wrestlemania 32 Rumor Roundup: The Rock, Mick Foley, Steve Austin, Shawn Michaels, Ronda Rousey, More! 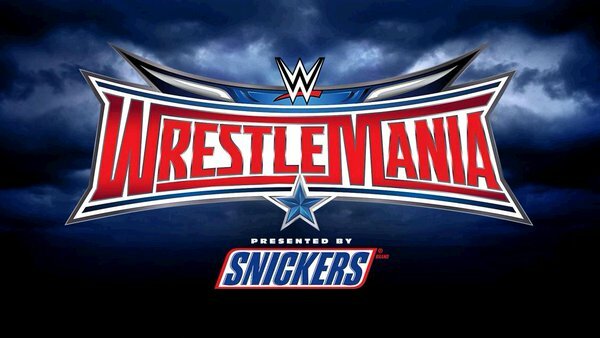 WWE Wrestlemania 32 is TONIGHT from Texas Stadium. There are tons of rumors for the event, here is a rundown of all the latest. 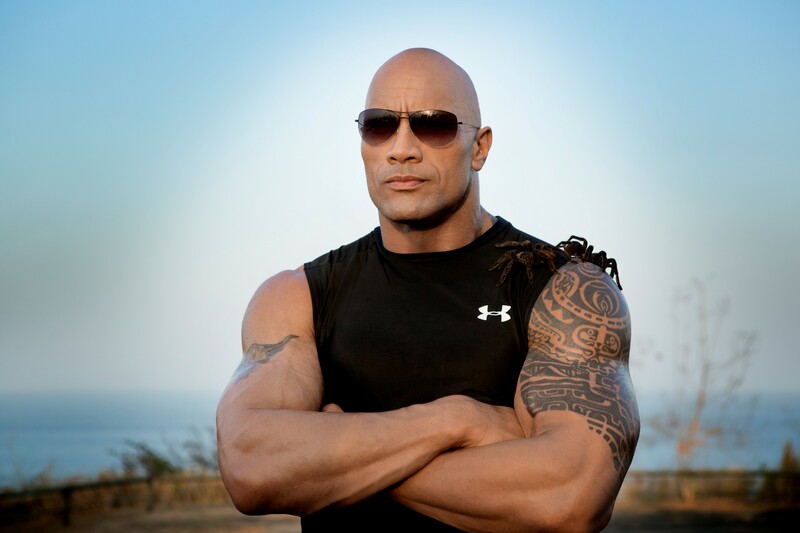 The Rock is confirmed to appear at Wrestlemania 32, but his role has not been announced. He has obvious ties to Roman Reigns and the Usos, but the Usos are on the pre-show so not a candidate for the Rock. While the Rock could do something involved with Roman Reigns, the crowd is likely not to like that. The most likely scenario is that The Rock will team up with the New Day and take on the League of Nations. Thinking back to the Rock’s last appearance on Monday Night Raw, he had a memorable segment with Lana and Rusev that can play out at Wrestlemania 32. There is an angle planned that will add The Rock as the fourth member of the New Day for the night at Wrestlemania 32. There are creative similarities between the New Day and the Rock and how they interact with fans, and while he was against them on Raw, there could be an easy reconciliation, especially to even the odds against the hated League of Booty. He will likely come out to a huge pop and do very limited action in the ring, possibly just to give a rock bottom and People’s Elbow to Rusev for the pin. John Cena was originally scheduled to face the Undertaker this year, but his injury after shooting American Grit kept him off of the official lineup for the first time in over a decade. 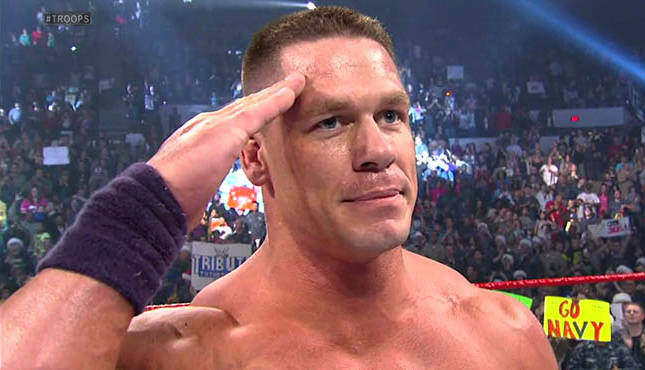 Cena has been coy on social media, teasing an appearance on the show. One of the big rumors is that Cena will interfere in the Hell in a Cell match between the Undertaker and Shane McMahon. Cena has been a long time opponent of the Authority, and by helping Shane win, he would be leading to Shane getting control of Raw. While this would result in the Undertaker being banned from Wrestlemania, this could also be setting up a Cena/Undertaker match for Mania 33, with Cena insisting Undertaker be allowed to have the match. Mick Foley, like the Rock, is officially confirmed to be at Wrestlemania 32 in some capacity over the six hour show. As reported this week, Foley will be appearing regularly on the WWE Network in 2016 in a new show with his daughter Noelle. Austin has been doing Stone Cold Podcasts on the WWE Network, but not much else for WWE in recent months. He is obviously a candidate for a surprise appearance at WWE Wrestlemania 32. After Daniel Bryan canceled his appearances at the Fan Axxess for Wrestlemania 32, WWE called upon HBK Shawn Michaels as a replacement. This means that Michaels is in Dallas for the weekend and is another prime candidate for a surprise appearance at the show. Michaels hasn’t made many appearances on WWE TV since retiring, however he has almost always been loyal to his storyline best friend Triple H. Could HBK get involved with the WWE World Heavyweight title match between Roman Reigns and HHH? Ronda Rousey appeared in a major segment at Wrestlemania 31 but has reportedly but been part of an angle at Wrestlemania 32. However, the movie conflict that was originally shooting in April has been moved to May. In addition, Rousey is not scheduled for any impending UFC fight, and thus is not actively training for MMA. These free her up for a possible appearance at WWE Wrestlemania 32. Depending on the involvement of the Rock or Stephanie McMahon, Rousey could be primed for an appearance in Dallas. Cesaro is rumored to be available for Wrestlemania 32. Cesaro has also been out of action with a similar shoulder injury. It looks like Cesaro will also be back in April. He is currently advertised for the WWE European tour, replacing Neville who was recently injured on Raw. There are very few wrestlers officially announced for the Andre the Giant Memorial Battle Royal. As a former winner, Cesaro could be a surprise entry into the match, and then go one to win for a second time. This could be a big way to re-introduce Cesaro to WWE TV primed for a push in 2016. Randy Orton is said to be in Dallas Texas, and has been spotted in the city. He has been off TV for months with a shoulder injury. There is no natural match for Orton to get involved with so it does not seem overly likely that he will appear at Wrestlemania 32. He is a prime candidate to do a return on the Monday Night Raw the night after Wrestlemania 32. Seth Rollins has been out of action for six months with a major knee injury. He last appeared on WWE TV on the 2015 Slammy Awards edition of Monday Night Raw, appearing on crutches. He is also said to be in Dallas, and could make an appearance on Wrestlemania 32. Storyline-wise, he fits into the HHH/Roman Reigns match nicely, and could also make some kind of appearance in the Brock Lesnar vs. Dean Ambrose mathc. That said, Rollins is one of the less likely surprises planned for Wrestlemania 32, with his return being saved for later in 2016 when he is closer to an in ring return date. 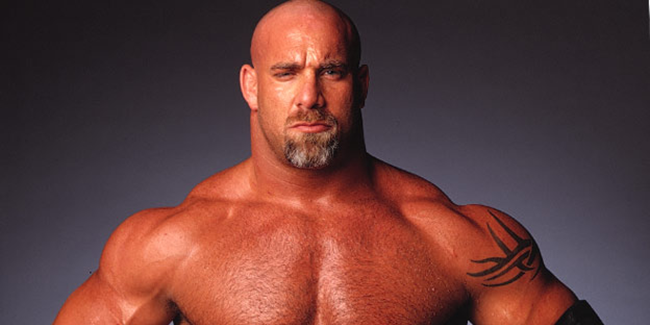 There have been rumors of Bill Goldberg appearing at Wrestlemania 32 for many months, although there appear to be nothing to the rumors. For the longest time, it was predicted that he would have a singles match against Ryback, and the Big Guy’s recent heel turn and new look lent credence. There remains a possibility that Goldberg makes a surprise appearanace at Wrestlemania 32, and get involved in some way in the United States title match, leading to a future match against Ryback. WWE could build an off-month around this match rather than put it on the mid card at Wrestlemania. Former TNA Heavyweight Champion Bobby Roode debuted during WWE’s Wrestlemania 32 weekend’s NXT TakeOver: Dallas. He was shown in the crowd and remarked on by the NXT commentators with fans excited to see him. Eric Young, who left TNA at the same time as Bobby Roode, could also make a surprise appearance at the show.